Add some laughter and wear this t-shirt to your next convention. 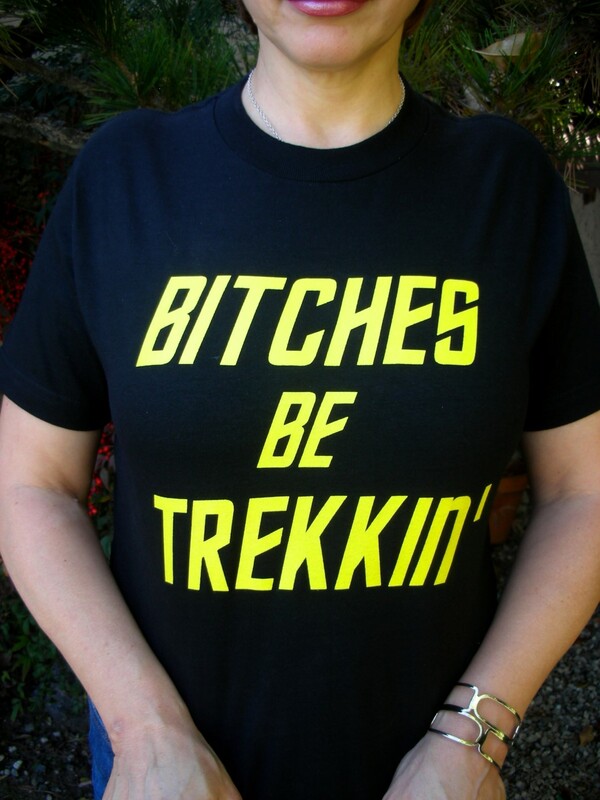 Perfect for the Star Trek fan or hiker in your life. It’s sure to put a smile on anyone that sees it. This fun, adult t-shirt is made of 100% heavyweight cotton and is available in small, medium, large and x-large sizes. Printed in Los Angeles. Perfect for the Star Trek fan or hiker in your life. It’s sure to put a smile on anyone that sees it. This fun, adult t-shirt is made of 100% heavyweight cotton and is available in small, medium, large and x-large sizes. Printed in Los Angeles.